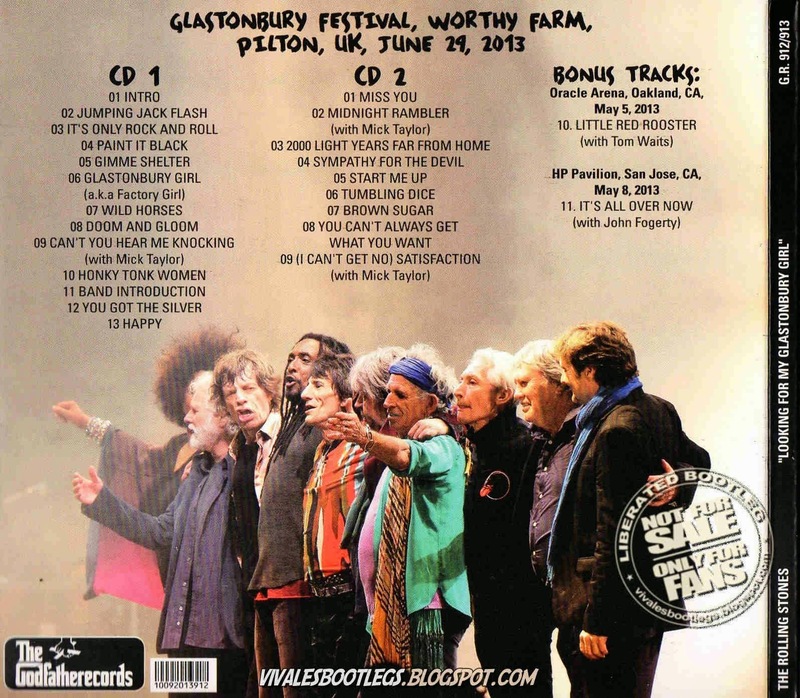 Recorded Live at Glastonbury Festival, Worthy Farm, Pilton, England - June 29, 2013. Files: 24.:: Size: 897.35 MB (mp3)| MB (flac). Ronnie Wood: guitars - Charlie Watts: drums. Additional musicians: Darryl Jones: bass guitar, backing vocals - Lisa Fischer: backing vocals - Bobby Keys: saxophone - Tim Ries: saxophone, organ - Chuck Leavell: keyboards, backing vocals, percussion - Bernard Fowler: backing vocals, percussion - Matt Clifford: French horn. 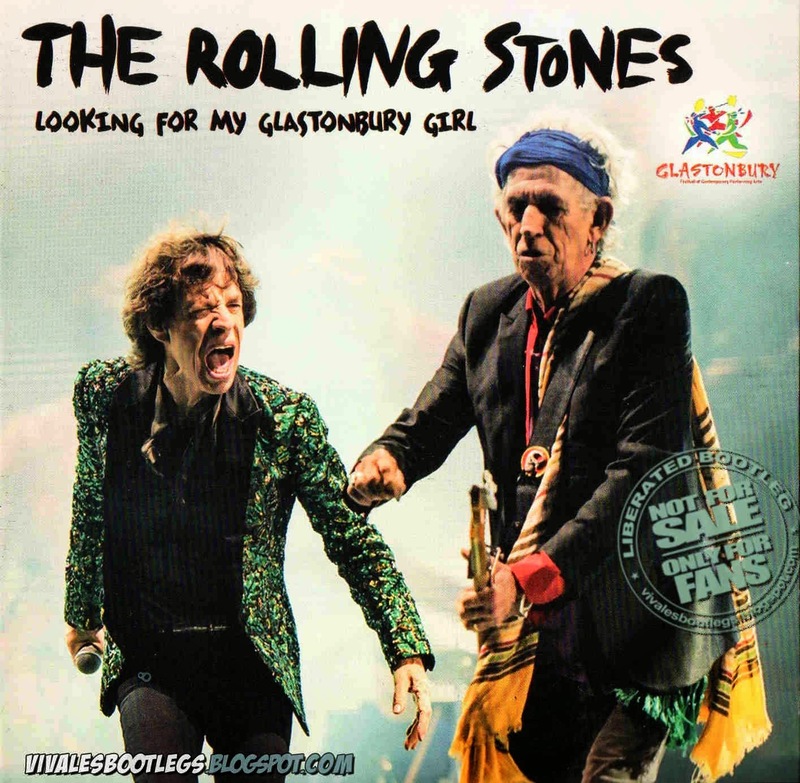 Notes: The Rolling Stones – Looking For My Glastonbury Girl (G.r. 912/913) Is A Double Disc Of The Stones Set At The Glastonbury Festival In Pilton, Uk On June 29th, 2013. This Also Contains Two Special Guest Bonus Tracks From Oakland And San Jose. Bonus Tracks: Oracle Arena, Oakland, Ca, May 5, 2013 - 10 Little Red Rooster ( With Tom Waits ) - Hp Pavilion, San Jose, Ca, May 8, 2013 - 11 It S All Over Now ( With John Forgerty ). Thanks for this recording, it sounds terrific! Godfatherecords are always welcome to my collections. Keep on sharing the best boots to us, your job is really great, merci.